Crawford Productions / Nine Network. 1,114 x 30mins. 1976 - 1983. Creators: Jack Blair, Ian Jones. LP (IN)	RCA Victor. VPL1-7146. (CA VPK1-7146). 1978. 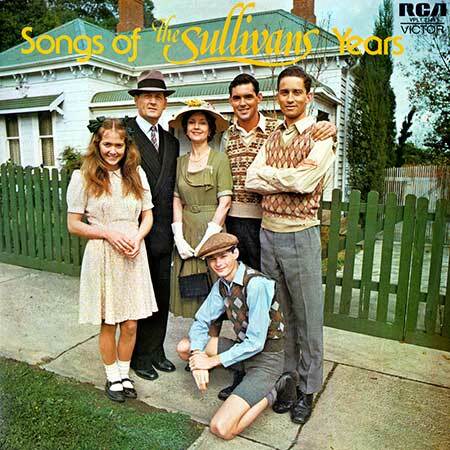 “SONGS OF THE SULLIVANS’ YEARS”. Thanks to Crawford Productions and Channel Nine. Beer Barrel Polka (Roll Out The Barrel). (2:43). (Vejvoda - Timm - Zeman - Brown). Will Glahe & his Orchestra. (Albert). (Carle - Lawrence). Frankie Carle and his Orchestra. (Dowell). Hal Kemp and his Orchestra. And The Angels Sing. (3:12). (Mercer - Elman). v: Kate Smith. (Albert). (Stothart - Friml - Forrest - Wright). Hal Kemp and his Orchestra. (Sterling). The Last Time I Saw Paris. (3:08). v: John Charles Thomas. (Chappell). There I’ve Said It Again. (3:09). (Mann - Evans). Vaughn Monroe and his Orchestra. (Davis). One Day When We Were Young. (3:06). Hal Kemp & Orchestra. (Albert). The U.S. Air Force (Army Air Corps Song). (2:44). (Robert M. Crawford). Alvino Rey and his Orchestra. (Allans). (Smith - Fearis - Adele Marsala - Joe Marsala). (Lecuona - Stillman - Luban). v: The Smoothies. (Albert). Six Lessons From Madam La Zonga. (3:00). v: Four King Sisters. (Albert). Story Of A Starry Night. (3:26). (Hoffman - Kurtz - Livingston). Hal McInTyre & Orchestra. (Chappell). (Worth - Austin - Martin). Freddy Martin and his Orchestra. (Allans). (Wallace). v: Spike Jones and his City Slickers. (Allans). A Nightingale Sang In Berkeley Square. (3:04). LP(t) (OP)	Priority. RML-53246. (CA RMC 53246). 1987. 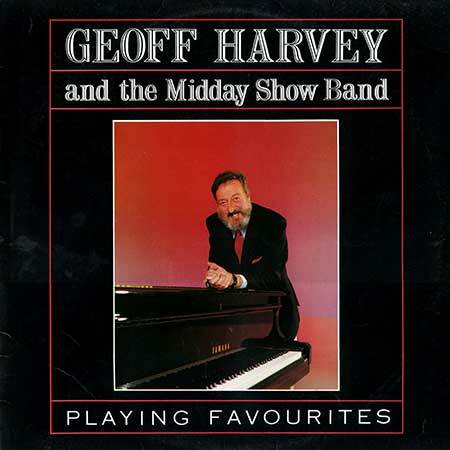 “GEOFF HARVEY & THE MIDDAY SHOW BAND - PLAYING FAVOURITES”. S2-Tk2 “Theme From “The Sullivans””. (G. Harvey). (Castle). LP(t) (ST)	(See COMPILATIONS - AUSTRALIAN TV’s GREATEST HITS: S2-Tk10). LP(t) (AD)	(See COMPILATIONS - T.V. THEMES VOLUME II: S2-Tk1b). CD(t) (AD)	(See COMPILATIONS - TOP TV SOAP THEMES: Tk16).